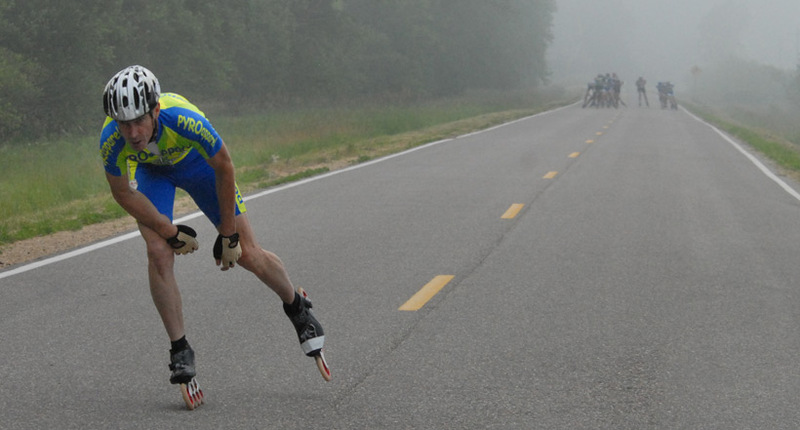 Temporary Leader — Pyro Apparel's Alan Marcosson, 56, appears to tire after taking a sizable lead during the first half of the Badger State Marathon. The pack soon reeled him in. But he held on to finish in 8th place with a time of 1 hour, 15 minutes and 11.6 seconds.